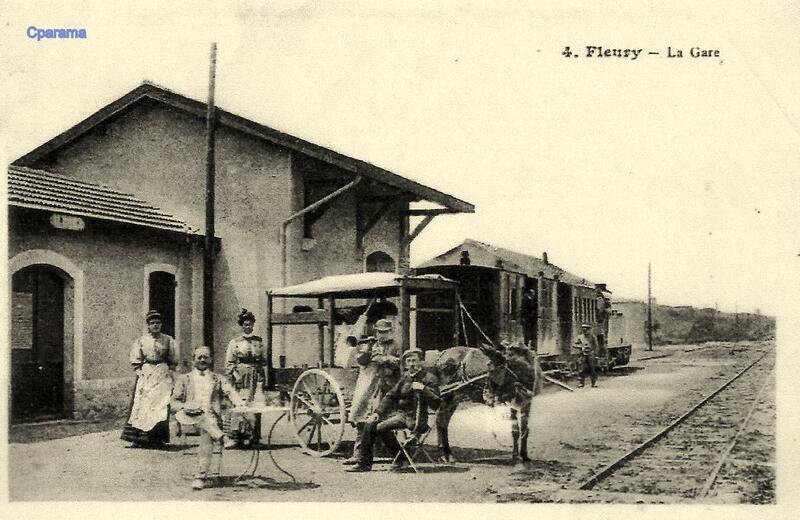 Narbonne’s tramways have been explored in some depth in my previous post ….. 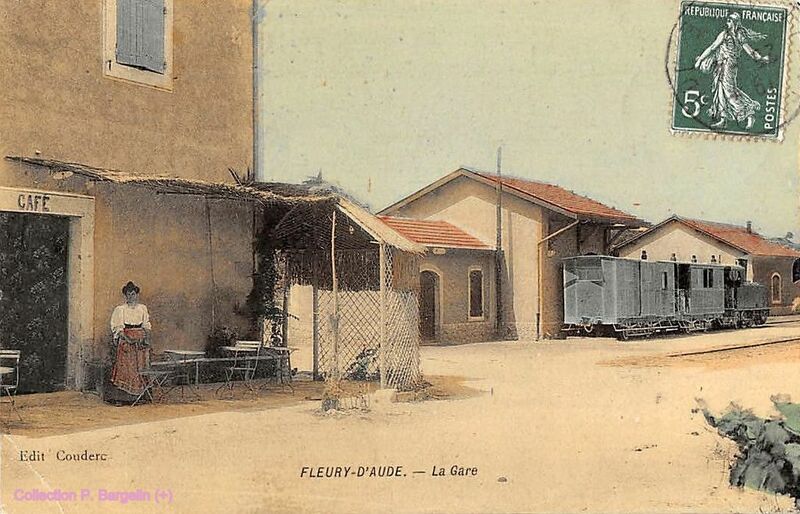 The route to Fleury set off Northeast from the tramway station on the forecourt of the Gare du Midi in Narbonne. 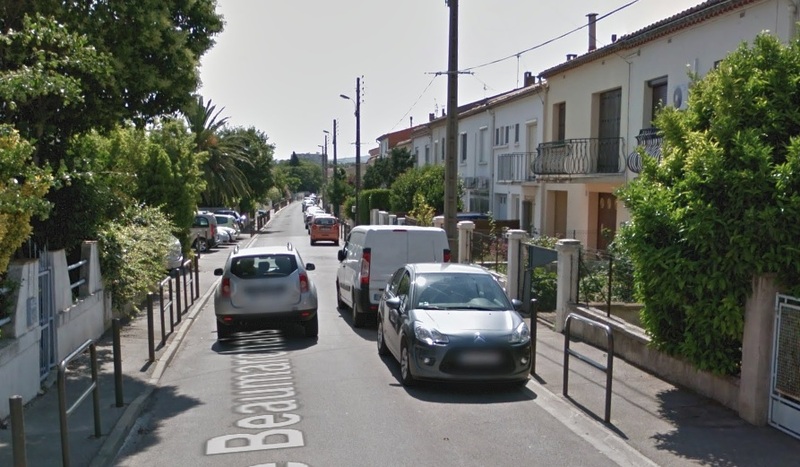 After a very short distance the tramway route turned to a more southeasterly direction and in turn, within a short distance, left behind the suburbs of Narbonne. Things in the early 21st century are much different. 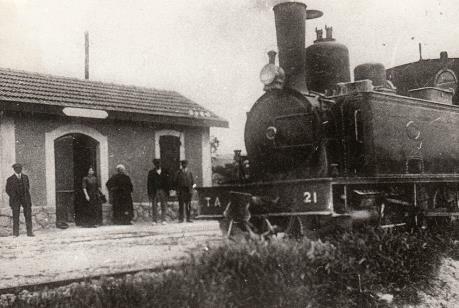 In the image above the line can be seen leaving the station and heading East. 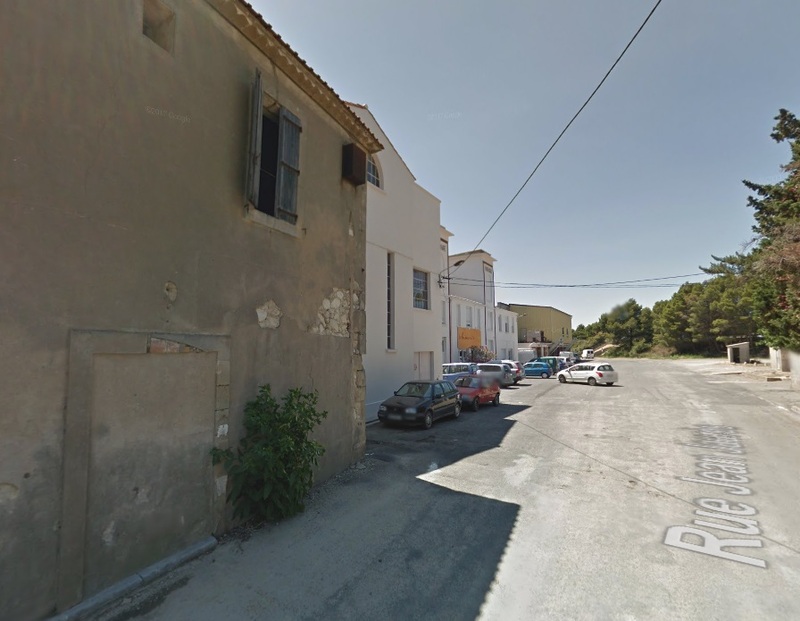 In the image below that line is now a road flanked by domestic dwellings. 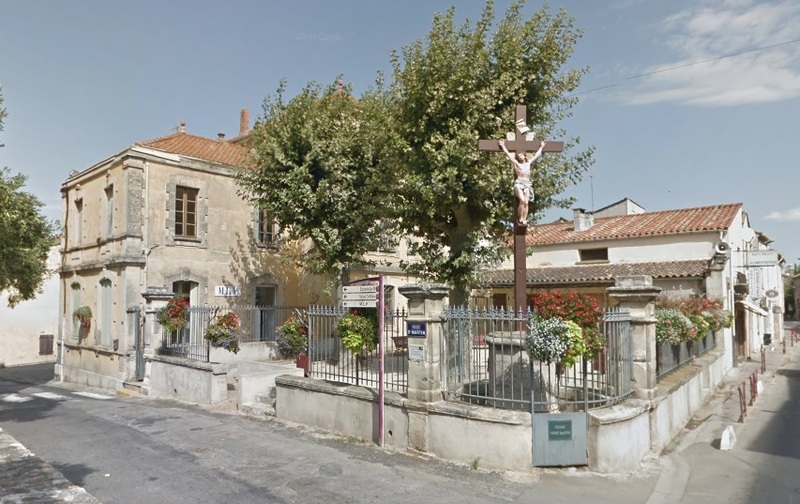 The cemetery appears to be essentially unchanged. 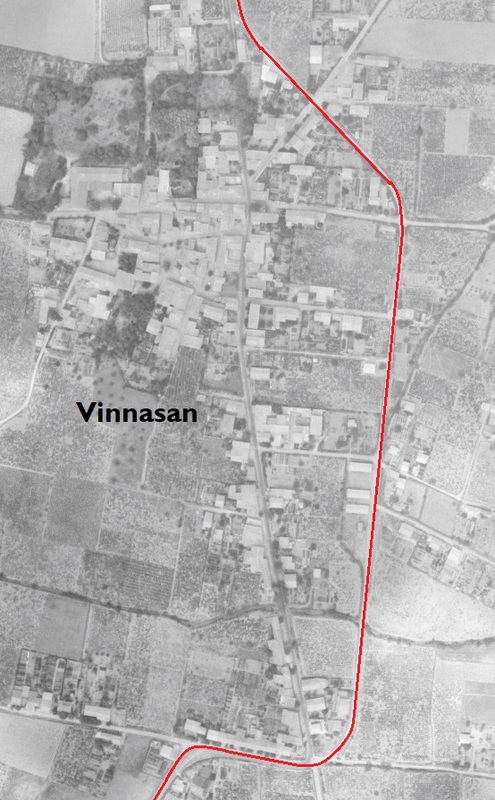 The route as far as Vinnasan is shown on a composite of aerial photographs from 1939 to 1958 below. 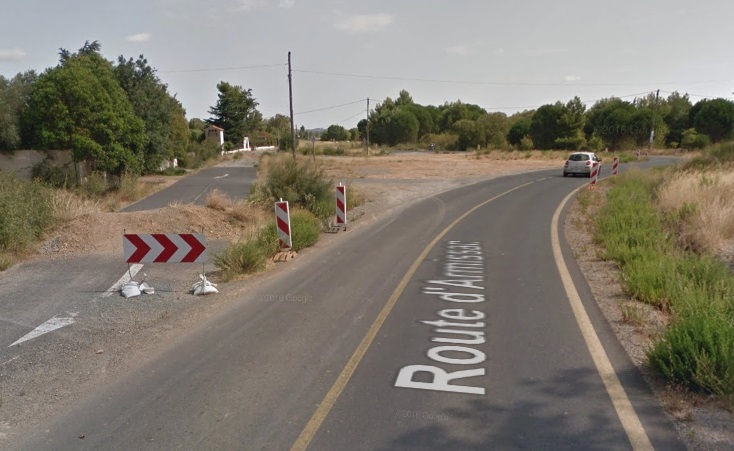 Most of the route followed what is now the D68 over relatively flat countryside. 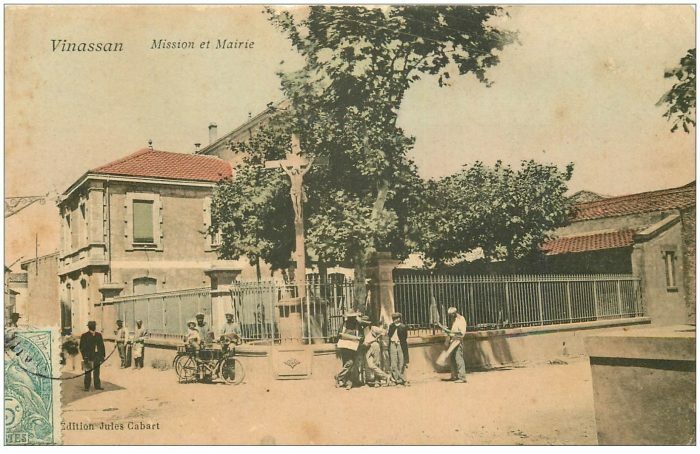 I have not been able to find any images of the tramway between Narbonne and Vinnasan. 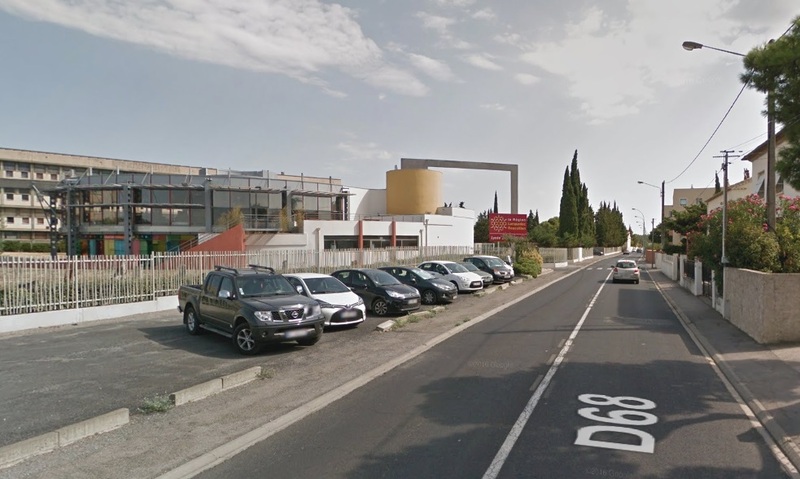 The Google Streetview images below show the route of the tramway through what were open fields and are now suburbs of Narbonne. The old road and tramway route are on the left. 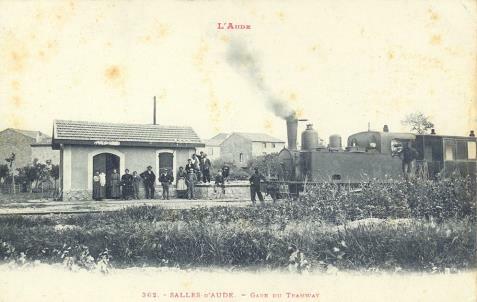 The tramway crossed farmland and a number of irrigation canals before reaching Vinnasin. 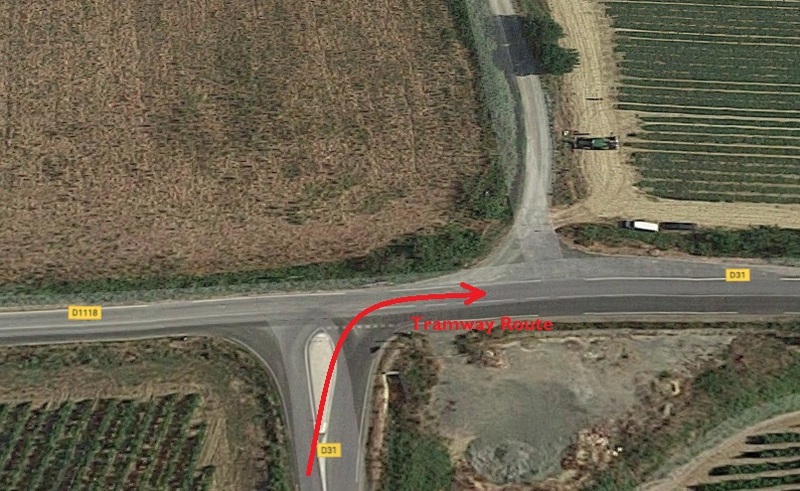 Vinnasan is now sited very close to the A9/E80 Autoroute which runs just to the East of the area of the adjacent aerial image. 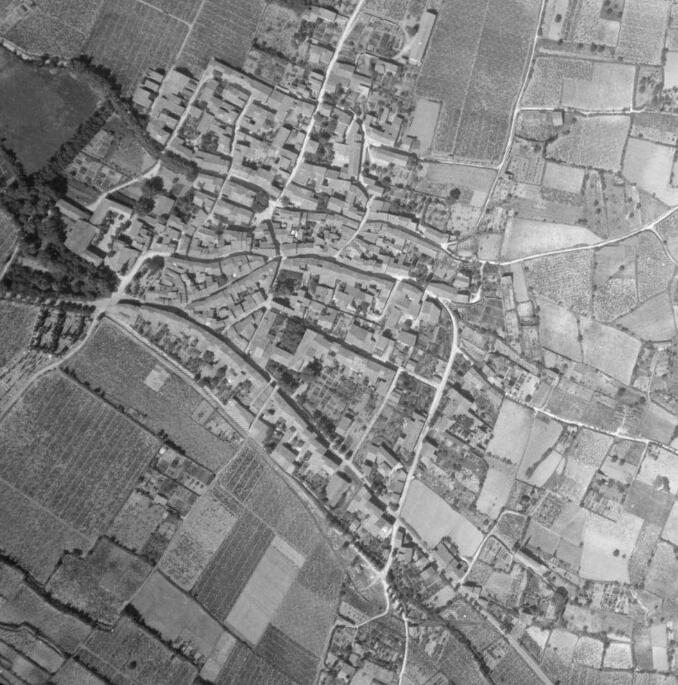 The tramway route has been superimposed onto an aerial image from 1958, although it would by that date have been long-gone. This is a close-up image of the top right of the above ‘snake’ illustrating the length of the route to Vinnasan from Narbonne. 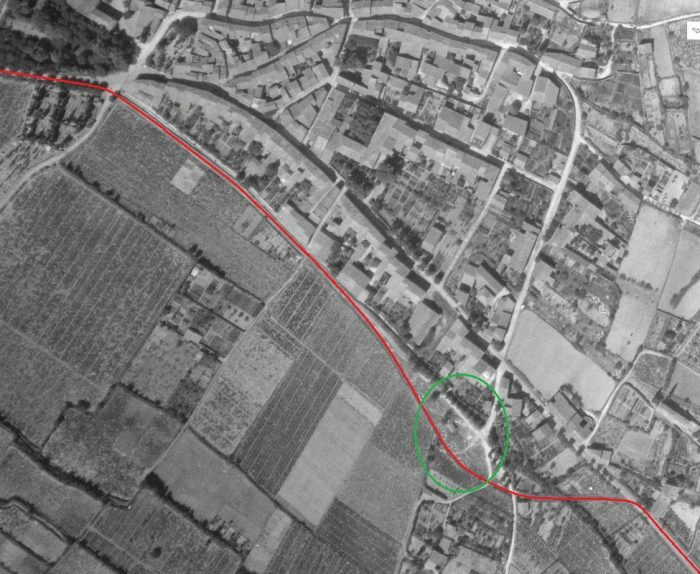 The tramway by-passed the centre of the village, taking a more easterly route than the main north-south road through the village (now the D31). 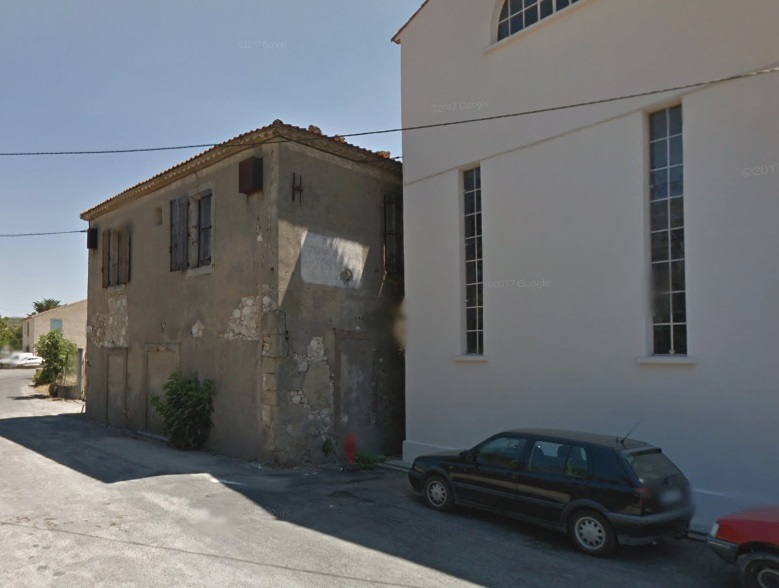 The postcard images above come from the central area of Vinnasan, both taken from the main north-south road which is now the D31. They are matched to modern images which show relatively little change. 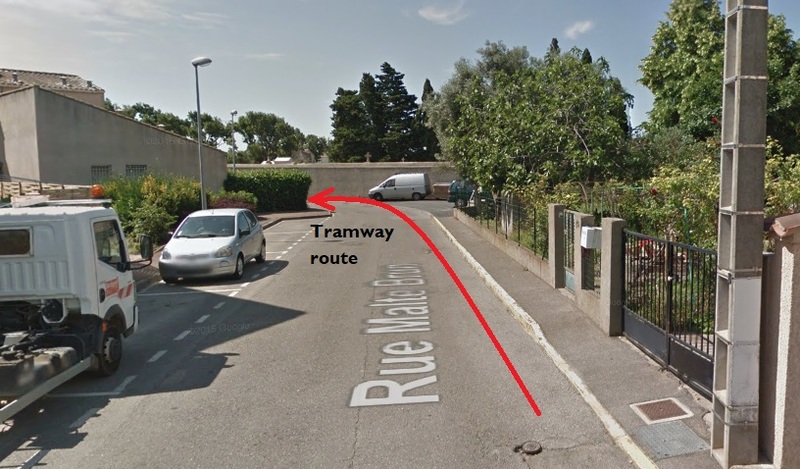 The tramway ran to the east of the main village road. 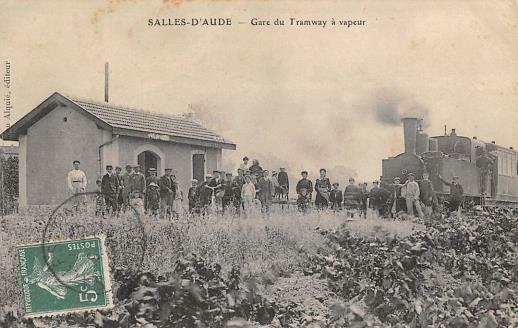 North of Vinnasan, the tramway followed the modern D31 north to a T-junction with the road between Coursan and Salled’Aude. 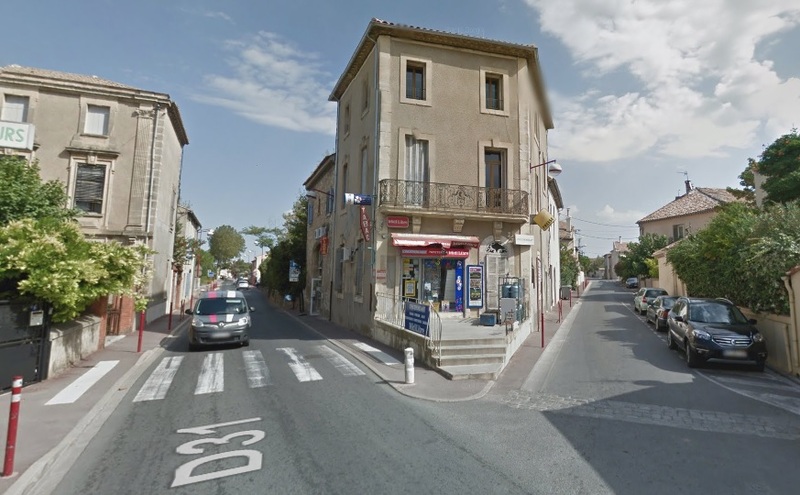 The present day D1118 meets the D31 and the D31 turns East to Salles d’Aude. 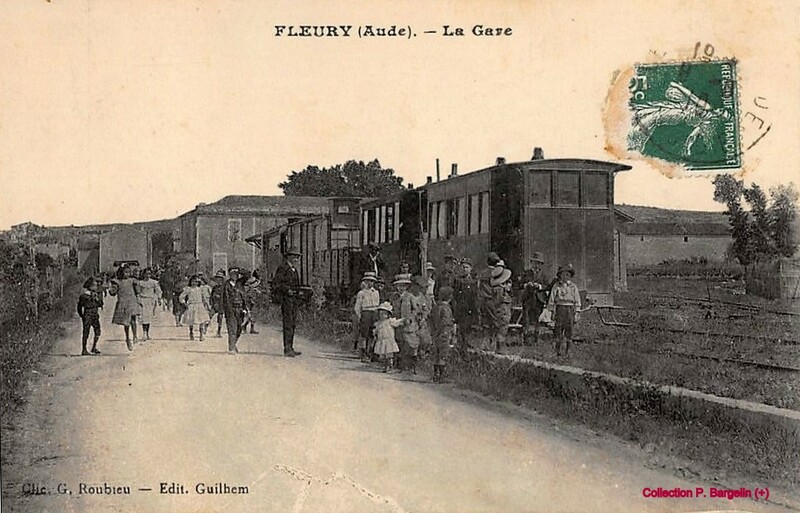 From the junction the tramway continued eastwards to Salles d’Aude past the Winery of Chateau Pech-Celeyran-Saint-Exupery. 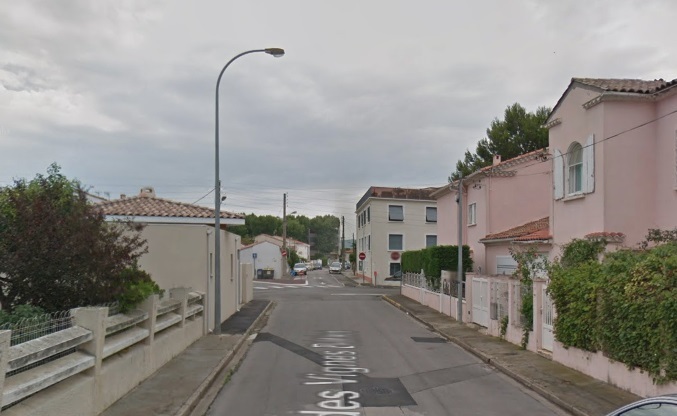 It was only a short distance from Salles d’Aude to Fleury d’Aude. 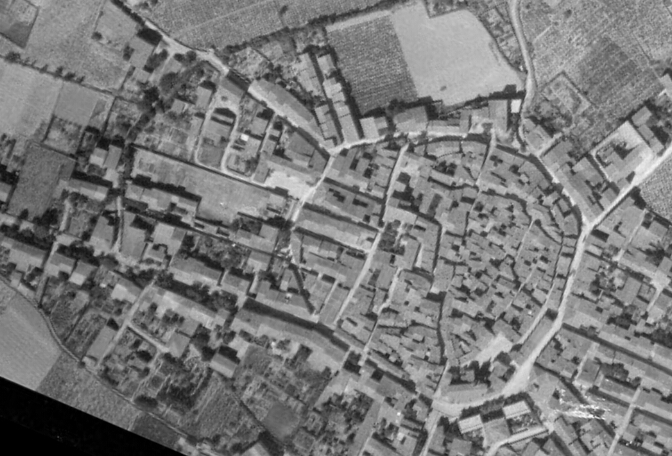 Tha station at Salles D’Aude was at the topleft of the satellite image below. 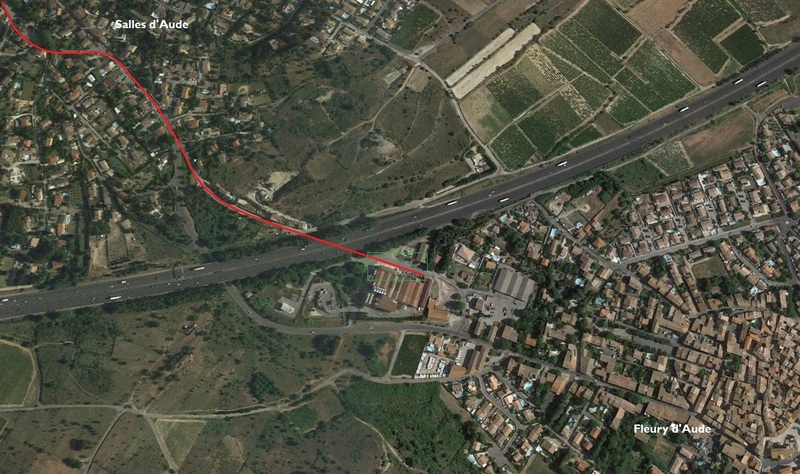 The tramway route is shown in red and the location of the station at Fleury d’Aude is shown with a green box both on the satellite image and the aerial photo below. 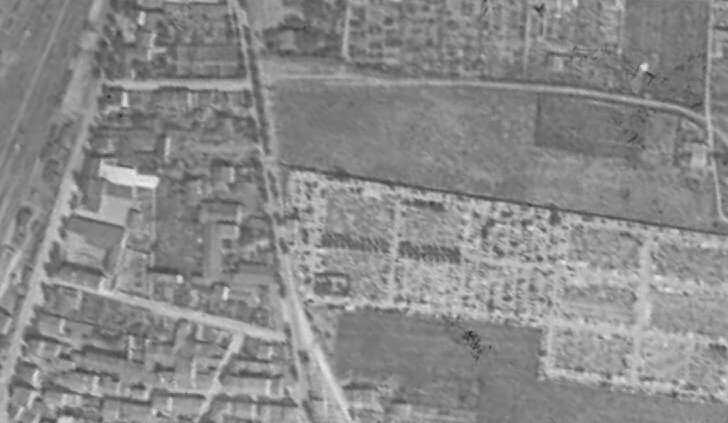 The western entrance to the village is shown on this extract from a 1945 aerial photograph. 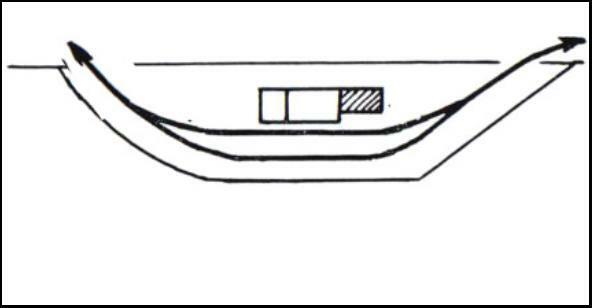 The tramway station location is highlighted by the green rectangle. 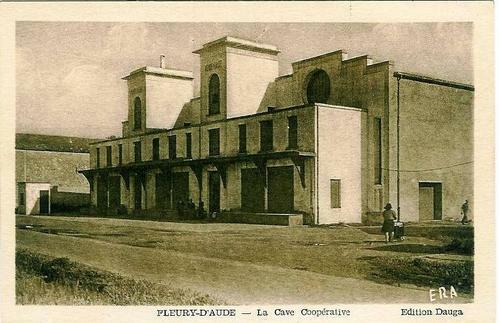 By 1945, the station site had already been subsumed into the Co-op site. 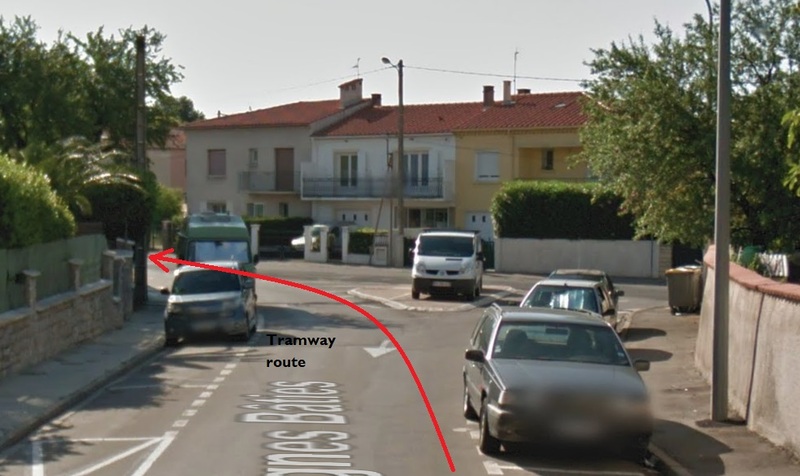 This is the final planned post on the Tramways de l’Aude. I hope that you have enjoyed the journey. 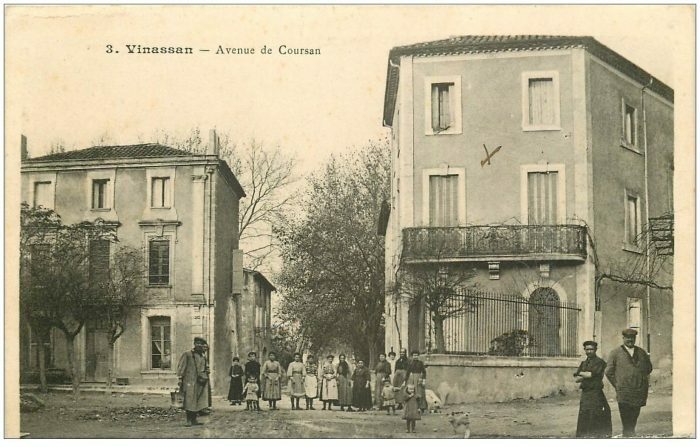 https://remonterletemps.ign.fr, accessed on 20th to 27th November 2018.
https://www.fortunapost.com/cartes-postales-francaises/3261-carte-postale-ancienne-11-vinassan-avenue-de-coursan.html, accessed on 15th November 2018.
https://www.fortunapost.com/cartes-postales-francaises/3262-carte-postale-ancienne-11-vinassan-mission-et-mairie-petrolette-sur-cale.html, accessed on 30th November 2018.
http://www.sallesdaude.fr/fr/decouvrir/un-peu-dhistoire, accessed on 30th November 2018.
http://www.cpaaude.fr/THEMES/TRAMWAYS/index_fichiers/Page1105.htm, accessed on 15th November 2018.
http://www.lavendemiaire.com, accessed on 3rd December 2018.
http://www.cavescooperatives.fr/article-27593489.html, accessed on 2nd December 2018. 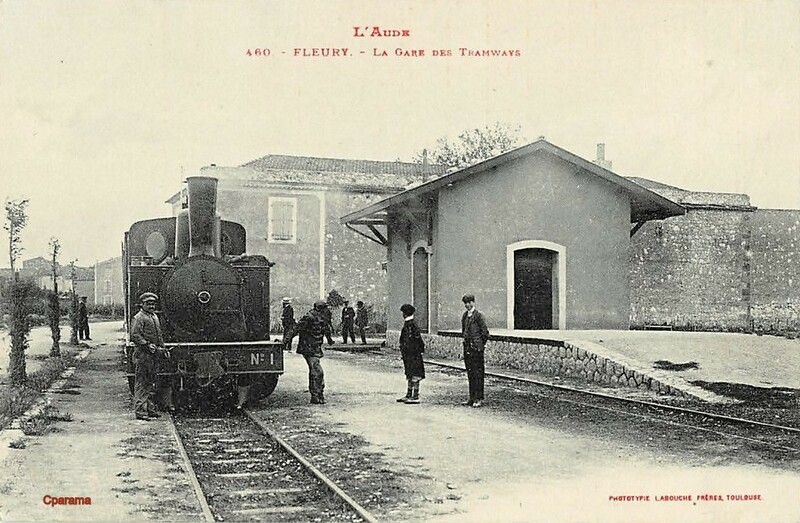 This entry was posted in Railways and Tramways of South-Western France, Railways Blog on December 3, 2018 by rogerfarnworth. 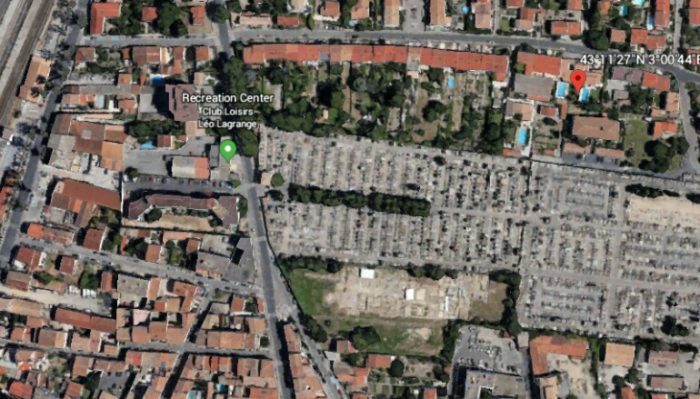 EVIDENCE OF TRAINS—BY THE SHAPES OF BUILDINGS…MORE THAN ONE MIGHT CONSIDER!